| sleep. | nutrition. | blood sugar. | ketones. | inflammation. | body composition. | hydration. Start your free 30-day Heads Up Health trial. No credit card, no risk. 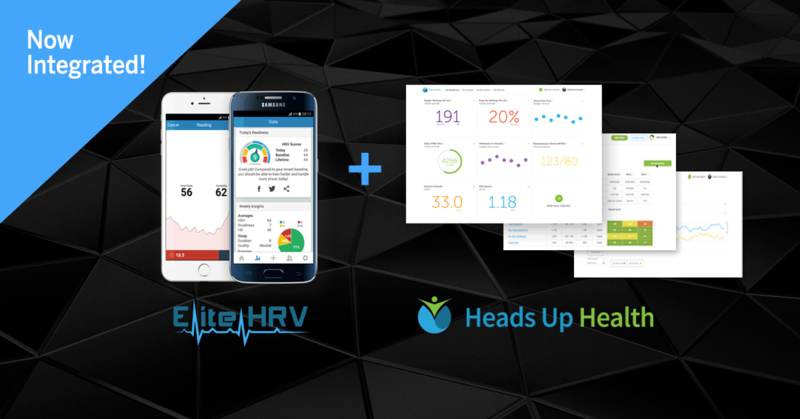 Elite HRV users can now easily track, trend, and compare their HRV readings using Heads Up's advanced health analytics website. ✅ Instantly integrate your medical records from thousands of medical facilities nationwide to see how HRV correlates with inflammation, metabolism, thyroid and much more. ✅ Track your results and stay motivated!!! Heads Up is the perfect place for Elite HRV users to dig deeper into the correlations between their medical records and other data - now including HRV!